ICE offers design and engineering services for clients in the commercial shipbuilding, naval and offshore energy market segments. Our reference portfolio includes a diverse and demanding range of projects across the markets served. The main 3-D ship design software used by ICE is AVEVA Marine – with 250 licenses ICE is a leading user of that software and expects that to continue. 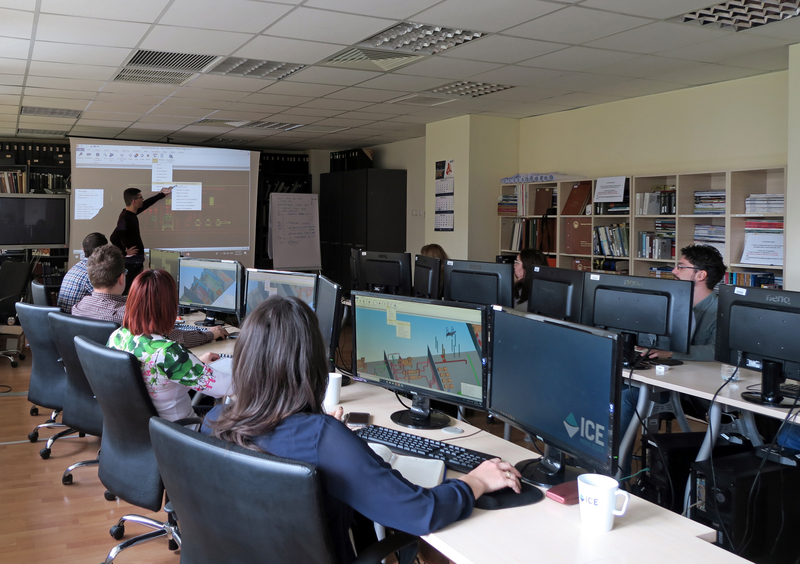 To broaden its range of shipyard clients and in response to repeated requests, ICE has nevertheless recently decided to invest in CADMATIC training for some of its designers. For a period of four months almost 100 engineers will therefore attend an in-house CADMATIC training program focused on hull structure and outfitting design modules. Pictured here are ICE engineers participating in the program.